Bring the flavors of the world to your kitchen table. From traditionally crafted Japanese shoyu to authentic Peruvian chili sauces, we offer a diverse range of international products that make it easy to expand your flavor horizons. Not sure where to start? Find a recipe that calls for these authentic ingredients from around the globe, and start there. We’ve gathered many of our favorites here, including steak salad with shoyu vinaigrette, traditional ramen for different skill levels, roast lamb with harissa and even a chocolatey dessert recipe that uses just enough spicy chili paste to keep things interesting. Get ready to discover a new world of flavor. You’ll love what you taste! Shoyu is a Japanese aged soy sauce that’s more complex than the varieties you typically see on grocery store shelves. It’s aged for a longer amount of time, and the fermented soybeans—i.e. the main ingredients in soy sauce—are brewed with wheat, which imparts a delicate sweetness. This flavorful sauce is an excellent way to add umami (a category of taste that’s savory and bold) to dishes, particularly ramen. Haku’s traditional, small-batch shoyus are earthy, elegant and complex. They’re also unique—you’d be hard-pressed to find anything comparable in quality or taste. Their Whiskey Barrel Aged Shoyu is versatile and mellow, with a touch of sweetness. After the brewing process, this shoyu is aged for 13 months in Japanese whiskey barrels made from Mizunara hard wood, a type of Japanese oak. How to use it: Brush over grilled steak or add to dressing. For something deliciously different (and extraordinary in aroma and flavor), try Haku’s Sakura Cherry Blossom Shoyu. Cherry blossoms are quickly gathered in nets, dipped in red shiso vinegar brine, salted to preserve and then added to aging barrels of white shoyu. The blossoms are for an additional year, so the finished shoyu is vibrant and aromatic. How to use it: Drizzle over vegetables or use as a dipping sauce for dumplings. Their Black Garlic Shoyu follows traditions dating back 3,000 years, while introducing new techniques and ingredients. 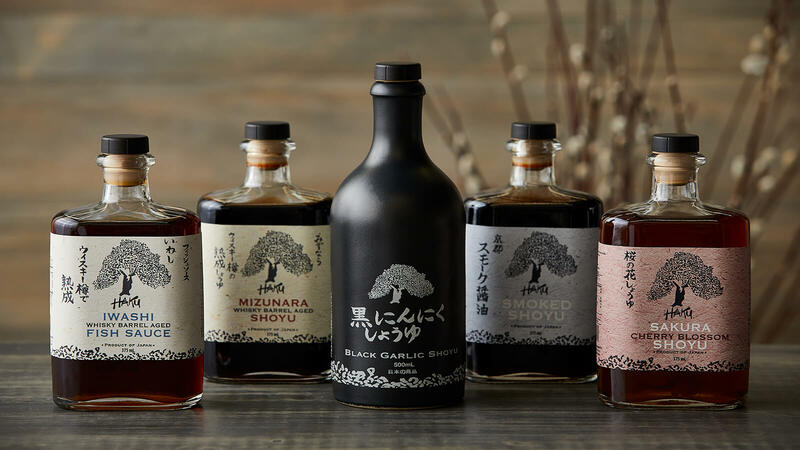 Each bottle marries traditional shoyu flavors with black garlic and notes of fig, raisin and molasses. How to use it: Make our delicious recipe for Shoyu Ramen. Haku’s Smoked Shoyu is aged, then cold-smoked using Japanese oak for a gorgeous, lively smoke flavor. How to use it: We recommend using this shoyu in moderation as a finishing sauce. Drizzle over salmon or sashimi or use as a marinade for semi-hardboiled eggs to add to a bowl of ramen. 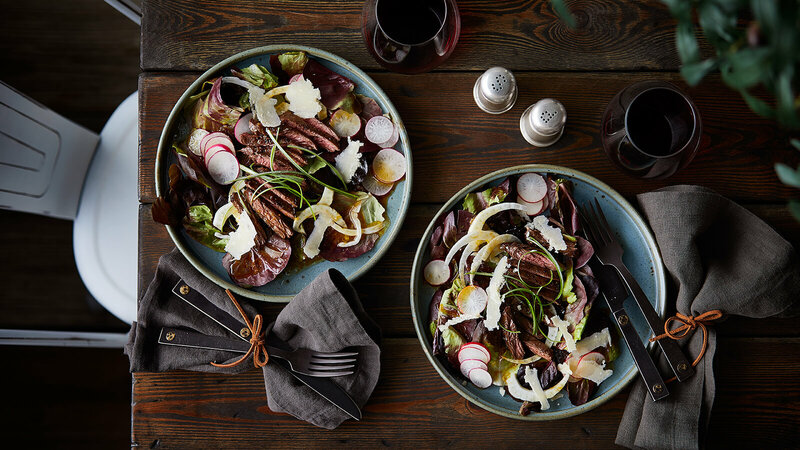 You can also brush it over steak, as seen in our recipe for Steak Salad with Smoked Shoyu-Citrus Vinaigrette. Move aside, ramen-in-a-pouch. 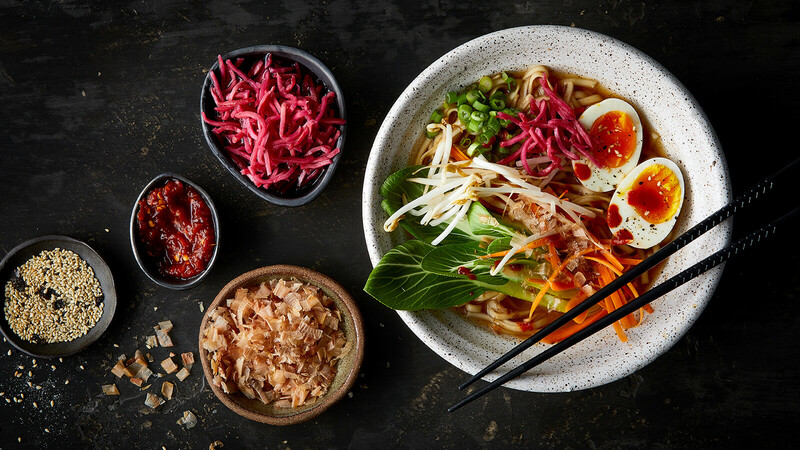 These ingredients make it easy to create a restaurant-caliber bowl of Japanese-inspired ramen that’s bold and satisfying—down to the last sip. Make sure you have quality noodles and a strong, flavorful broth (traditionally simmered for hours, but simple to pull off with a good ramen base). We’ve gathered some of our favorite ramen essentials, along with some suggestions for add-ons like shoyu, seared tofu and vegetables. For the ultimate slurp-worthy noodles, WA soba and udon are the best of the best. Their buckwheat noodles are made by following centuries-old traditions to achieve the perfect chewiness and texture. WA also offers Matcha Cha Soba—made with pristine water from the Zao mountains—as well as Tenryu Matcha green tea carefully selected by an award-winning tea master. The flavor is earthy, with a hint of wheatgrass. WA’s Udon Katakuriko is made from potato starch. While the potato starch isn’t necessary for flavor, it’s crucial because it produces the ideal Koshi, or “strong texture,” preferred by most Udon lovers. these noodles are versatile enough to be served cold or on their own with dipping sauce. These rich, complex ramen bases make it easy to create an authentic, restaurant-caliber bowl of ramen at home. 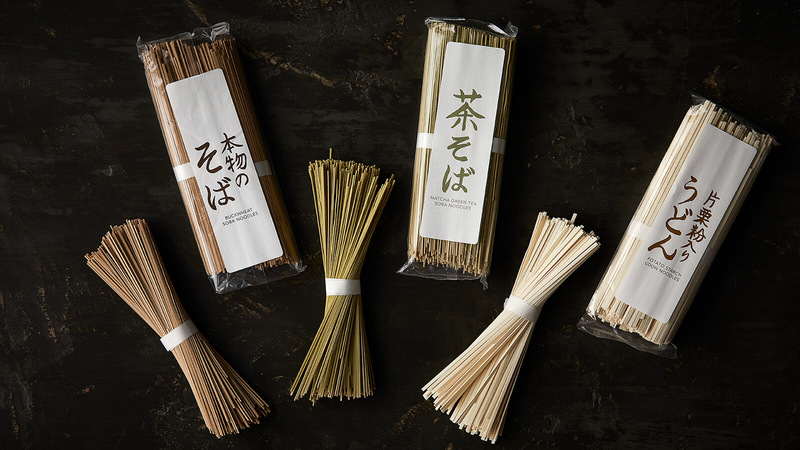 They’re made with minimal, quality ingredients that are essential to good ramen—including animal fats that coat the noodles and ensure the kind of mouth-feel and umami flavor that ramen enthusiasts love. To use, simply dilute the sauce to your preference, heat it, pour it over WA's Soba and Udon noodles and add your favorite protein and vegetables. 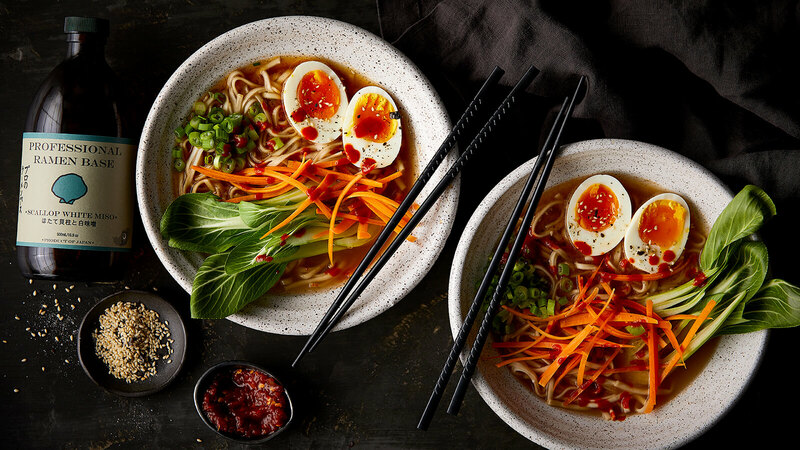 Also, these bases are perfect for a piping-hot bowl of ramen, try our easy Weeknight Ramen Bowls. Often associated with soup, miso’s potential extends well beyond the soup bowl. This traditional Japanese seasoning is made from fermented soybeans, salt, koji (a naturally occurring culture used in everything from soy sauce to sake), and occasionally grains and seaweed. Miso delivers bold umami flavor that livens up a variety of dishes. There are several varieties of miso. Here are some of the types of miso you’ll find at your local store. Sesame Another traditional, lighter miso, sesame miso is blended with pureed white and black toasted sesame seeds and then aged 3 months for a wonderfully savory, nutty flavor. Yuzu This traditional, lighter style of miso has been fermented with hearty chunks of yuzu fruit and zest, then aged for 3 months so it can develop a unique, bright floral aroma. 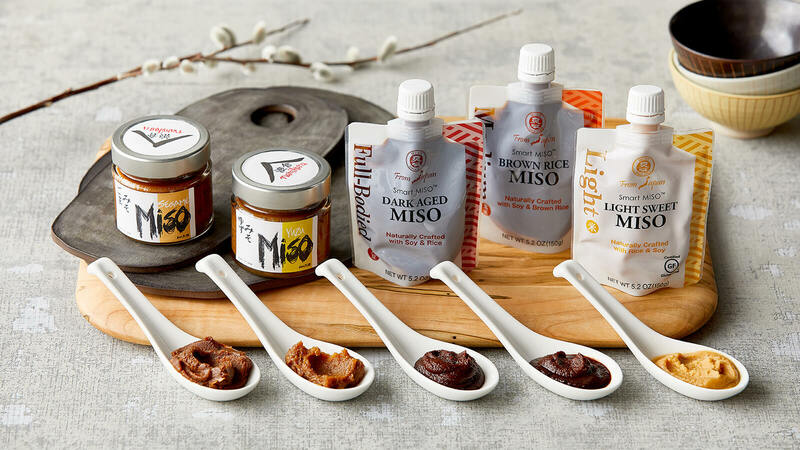 Dark Aged This darker, particularly rich aged miso is made with fermented soybeans, roasted barley flour, rice miso and sea salt and is best for marinades, glazes and sauces. Brown Rice Made with steamed soybeans, Koji-cultured brown rice and sea salt, this rich and complex miso is perfect for making traditional miso soup and can also be used in marinades or dressings. Light Sweet Made with steamed soybeans, Koji-cultured brown rice and sea salt, this miso is perfect in salad dressings, slaws and condiments. There are many delicious ways to cook with miso. One of our favorite recipes is a quick and easy marinade for salmon. Simply combine lime juice, fresh ginger, scallions, oil and a dollop of miso, and marinate your salmon 30 minutes before cooking. We also love to use miso in bright, flavorful vinaigrette to toss with slaw. 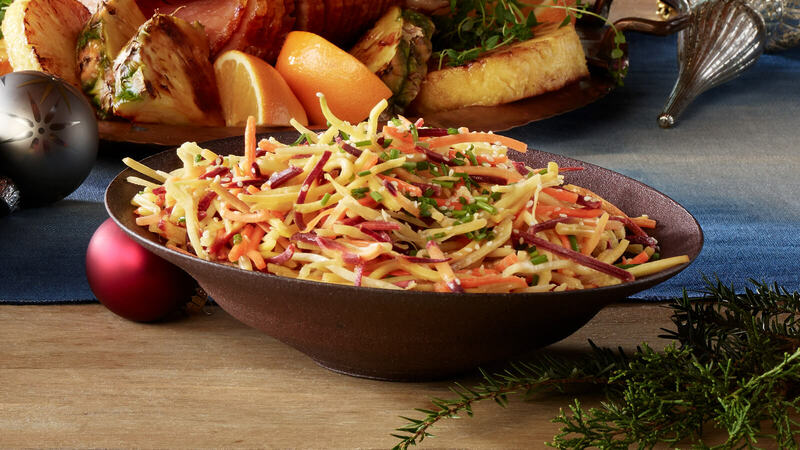 Try our Carrot Slaw with Miso Vinaigrette recipe for yourself! Traditional sauces and seasonings make worldly flavors more accessible. Here are some of our innovative favorites, from spicy Peruvian chili paste to soy-free “soy” sauces made with kelp. You can use these ingredients in a number of recipes—savory grilled meat and seafood, roasted vegetables, and even decadent chocolate desserts that lend themselves to a touch of heat. Shakshuka is a popular Moroccan dish of poached eggs slowly cooked in a rich, spicy tomato sauce. 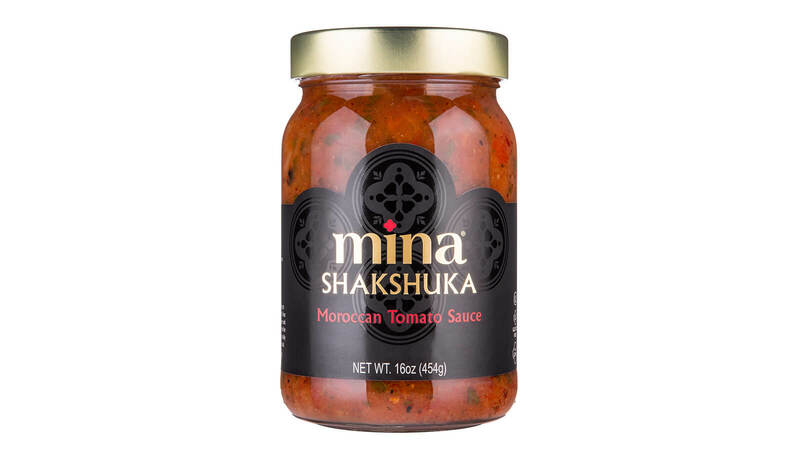 Mina Shakshuka Sauce is made with ripe tomatoes, roasted peppers, garlic and a secret blend of six Moroccan spices. The sauce is super-versatile, and we love adding it to pastas, soups, eggs and using it as a base for pizza. 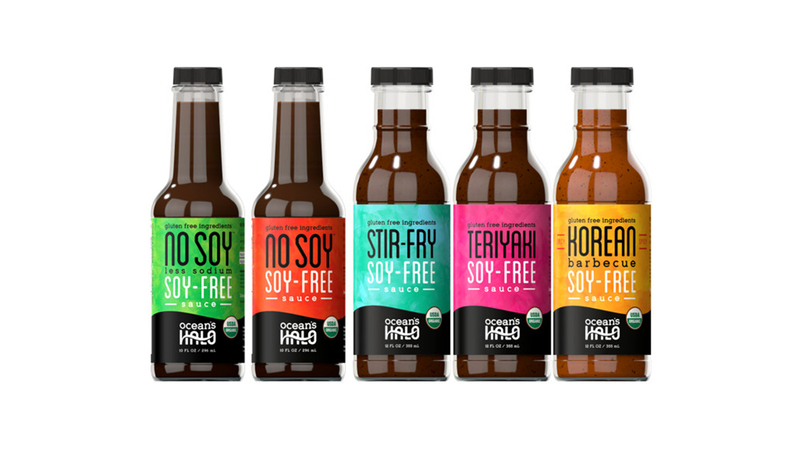 These soy-free sauces are organic, gluten-free and vegan, making them excellent soy sauce alternatives. They’re made with minimal ingredients and are kelp-based, so they’re more nutritious than traditional soy sauces. They also have 30% less sodium than the average leading soy sauce brands. We love these sauces in marinades, dressings, grilled entrées, stir fries and soups, or as a dipping sauce. Try them in our recipe for Asian Beef Lettuce Wraps. 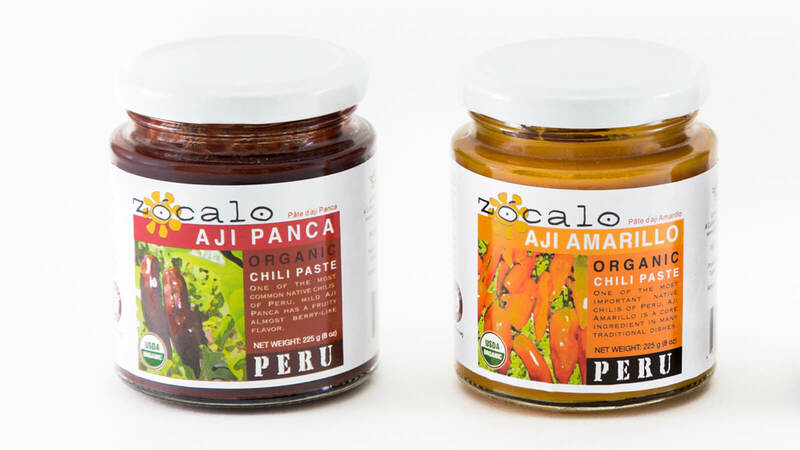 Zócalo Peru’s chili pastes are made from organic, freshly pureed aji chilies and make it easy to add unique, Peruvian-style heat and flavor to a variety of dishes. 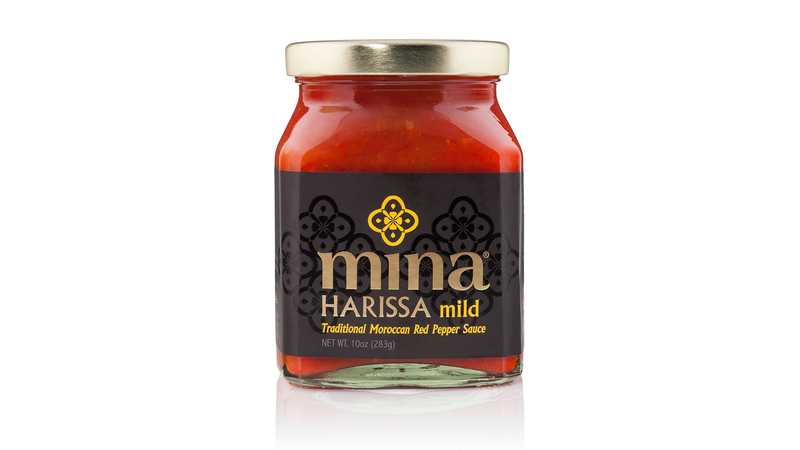 We like to combine their chili paste with yogurt for a savory dip to serve alongside grilled meat. You can also add a few spoonfuls to chili, or smear it onto a skin-on chicken breast before grilling. And, you can even use Zócalo’s Aji Panca Chili Paste to add a touch of heat to desserts, like our decadent Chestnut Chocolate Torte! 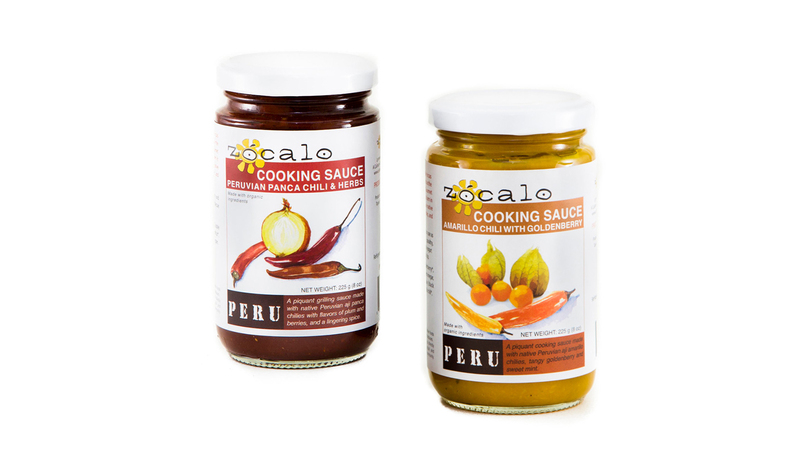 Zócalo’s cooking sauces are made with fresh, organic aji panca and aji Amarillo chilies, herbs, spices and extra virgin olive oil for bright, tangy flavors that enhance a variety of dishes. We recommend adding their cooking sauces to marinades, brushing them on grilled meat, fish or vegetables, mixing them into dips or using them as a simmer sauce.